This week was notable for the fact that there were two ERISA class action common fund fee decisions awarding nearly $30 million dollars to class counsel. In Abbott v. Lockheed Martin Corp., No. 06-CV-701-MJR-DGW, 2015 WL 4398475 (S.D. Ill. July 17, 2015), Class Counsel helped obtain a settlement of $62 million for the benefit of as many as 181,000 current and former participants in two 401(k) plans offered to employees of Lockheed Martin. In Krueger v. Ameriprise Fin., Inc., No. 11-CV-02781 SRN/JSM, 2015 WL 4246879 (D. Minn. July 13, 2015), Class Counsel obtained a $27.5 million monetary recovery for the benefit of as many as 46,098 current and former participants in the 401(k) plan offered to employees of Ameriprise Financial. In both cases the courts awarded Class counsel one-third of the monetary settlement obtained, outstanding expenses, and $25,000 incentive awards to the Class representatives. Read more in this week’s ERISA Watch. Whether ERISA preempts Massachusetts discrimination statute is not facially conclusive. In Sirva Relocation, LLC v. Richie, No. 14-1934, __F.3d___, 2015 WL 4395168 (1st Cir. 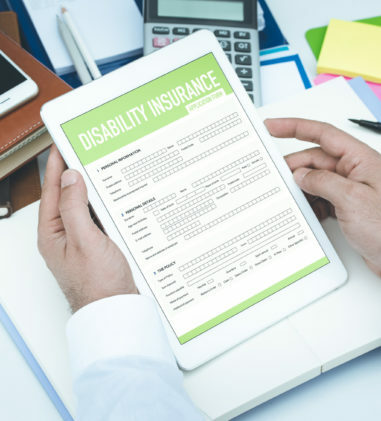 July 20, 2015), the First Circuit considered whether ERISA preempted an employee’s disability discrimination claim brought under a Massachusetts discrimination statute with the Massachusetts Commission Against Discrimination. The dispute concerned Aetna’s termination of long-term disability benefits after 24 months due to the disability policy’s mental condition limitation. The court noted that while most federal courts have found that the ADA conclusively permits an employer to offer disparate benefits based on the type of disability that may afflict an employee, it could not find facially conclusive the proposition that the ADA permits such a differential-benefit scheme and that, therefore, ERISA preempts the Massachusetts General Laws chapter 151B claim. The court found that there is room for principled disagreement about the viability of differential-benefits claims under the ADA and resolving the preemption question presented here calls for exactly the sort of extensive legal analysis that places the facially conclusive preemption exception out of reach. As such, the court’s abstention under Younger v. Harris, 401 U.S. 37 (1971) (doctrine of abstention requires federal courts, in the absence of extraordinary circumstances, to refrain from interfering with certain state proceedings) is appropriate. Severance policy constitutes an ERISA “plan, fund, or program” under § 1002(1). In Okun v. Montefiore Med. Ctr., No. 13-3928-CV, __F.3d___, 2015 WL 4385294 (2d Cir. July 17, 2015), the Second Circuit vacated and remanded district court’s dismissal of Plaintiff’s claim for severance benefits because of its erroneous conclusion that the severance policy at issue was not an employee welfare benefit plan under ERISA. In this matter Plaintiff alleged that his for-cause termination was a pretext for his employer to interfere with his right to severance payments under the Policy and ERISA. The parties dispute whether the Policy is adequately alleged to constitute the kind of undertaking to pay severance benefits that can be described as a “plan, fund, or program,” as that phrase is used in the definition of “employee welfare benefit plan.” In determining whether an ERISA plan exists, the court considers three non-exclusive factors: (1) whether the employer’s undertaking or obligation requires managerial discretion in its administration; (2) whether a reasonable employee would perceive an ongoing commitment by the employer to provide employee benefits; and (3) whether the employer was required to analyze the circumstances of each employee’s termination separately in light of certain criteria. The court concluded that, on the facts alleged in the complaint, the Policy falls within the meaning of the phrase “any plan, fund, or program” because it represents a multi-decade commitment to provide severance benefits to a broad class of employees under a wide variety of circumstances and requires an individualized review whenever certain covered employees are terminated. 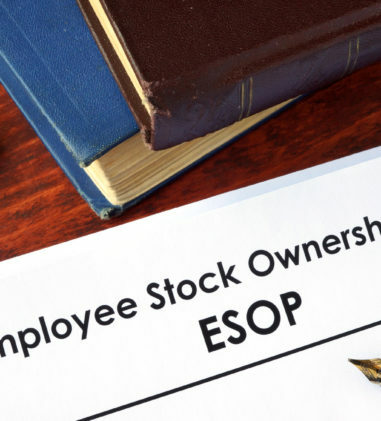 The employer assumed the responsibility to pay benefits on a regular basis, and thus faces periodic demands on its assets that require long-term coordination and control. 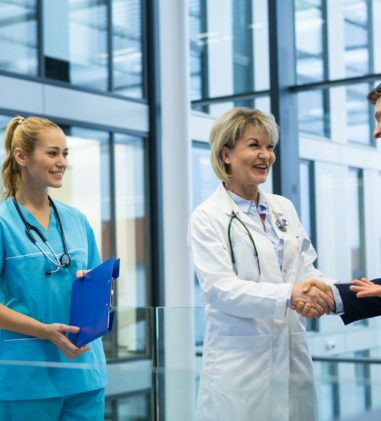 Physicians are not beneficiaries under ERISA and therefore lack standing to bring suit seeking to enjoin insurer from removing them from its coverage network. In Rojas v. Cigna Health & Life Ins. Co., No. 14-3455, __F.3d___, 2015 WL 4256306 (2d Cir. July 15, 2015), when the plaintiff physicians (“Rojas”) and Cigna could not resolve a dispute concerning alleged fraud and abuse of blood allergy tests ordered for the physicians’ patients, Cigna notified the physicians that they would terminate them as a healthcare provider in its network. Rojas filed suit seeking, among other things, an injunction prohibiting all retaliatory acts against Rojas including the termination of the provider agreements. Rojas contended that Cigna had violated the anti-retaliation provision of ERISA, 29 U.S.C. § 1140, which makes it unlawful for any person to discriminate against a participant or beneficiary for exercising any right to which he is entitled under the provisions of an employee benefit plan. The district court denied Rojas’s motion for a preliminary injunction, finding that Rojas lacked standing to bring an ERISA action since the physicians are not participants, beneficiaries, or fiduciaries of an ERISA plan. The district court reasoned that healthcare providers don’t become beneficiaries solely by virtue of receiving reimbursement from a plan administrator, even if they have taken assignments of the reimbursement rights of plan participants. 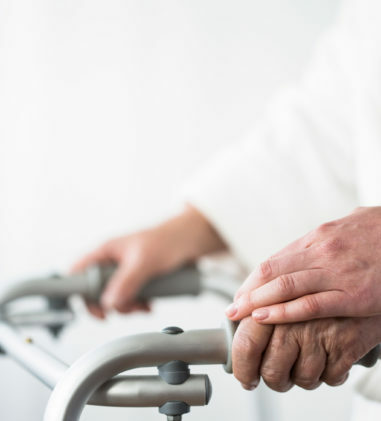 The Second Circuit affirmed, concluding that healthcare providers are not “beneficiaries” of an ERISA welfare plan by virtue of their in-network status or their entitlement to payment. The court noted that its interpretation is consistent with every circuit that has considered this question (6th, 9th, and 11th). The patients assigned to their doctors the right to collect payment, not the right to assert anti-retaliation protections. ERISA § 515 preempts the contract defense of lack of consideration. In Orrand v. Scassa Asphalt, Inc., No. 14-3954, __F.3d___, 2015 WL 4430447 (6th Cir. July 21, 2015), the Sixth Circuit affirmed the district court’s grant of summary judgment in favor of the Funds on their claim to collect delinquent fringe benefit contributions. The court held that 1) the employer’s principal’s verbal communication to a union official of its intent to terminate its relationship with the union did not relieve employer of its obligation to make contributions; 2) the union’s letter notifying the employer that the CBA was set to expire did not relieve employer of its obligation to make contributions; and 3) ERISA preempted the employer’s contract defense of lack of consideration. Defendant is required to pay $141,356.18 in delinquent benefit contributions plus interest, statutory interest, and costs. Claim for equitable relief dismissed where court determined that there was no cognizable harm from any failure to comply with ERISA’s disclosure requirements. In Perry v. Int’l Bhd. of Teamsters, No. 14-CV-484 (TSC), __F.Supp.3d___, 2015 WL 4329769 (D.D.C. July 15, 2015), Plaintiff filed suit against his former employer challenging the denial of certain retirement benefits under ERISA and for payment of unused vacation time under state law. 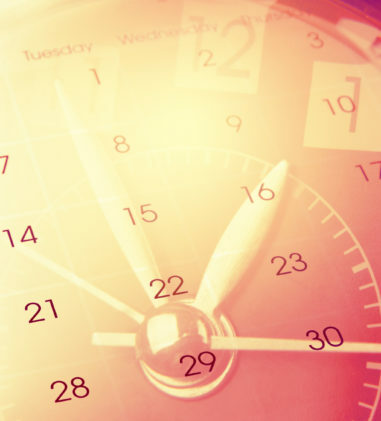 Plaintiff’s claim for pension and retirement health benefits was denied because his time of service was short by six days. He was directed to secure employment for six days to “bridge his time,” a practice which Plaintiff alleged his employer “consistently” permitted. However, he was later informed that his retiree health benefits application was denied. 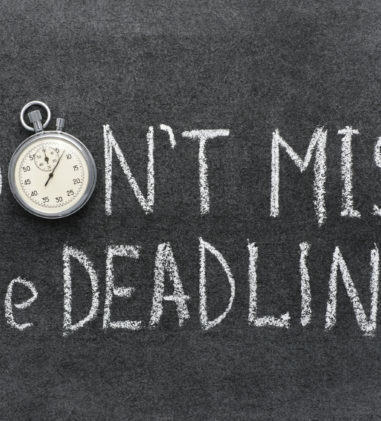 The denial letter indicated that Plaintiff could appeal to the Administrative Committee but did not contain the requisite ERISA documents or detail Plaintiff’s rights as required under 29 C.F.R. § 2560.503-1(h)(2)(ii). 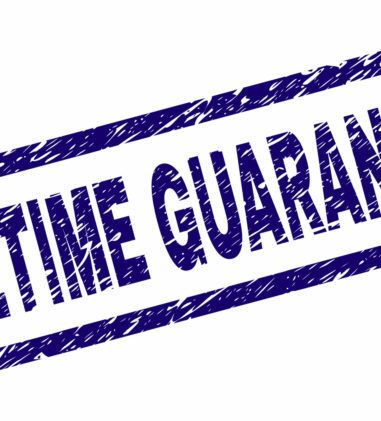 It did, however, refer to the Teamster Benefit Trust’s Guide to Your Benefits, specifically to excerpts setting forth the length of service requirements for lifetime retirement coverage. Plaintiff sent a letter on August 1, 2012 to John Slatery (Director of Benefit Trust Administration) confirming an April 9 telephone call and specifically “confirming that he was informed by [sic] Mr. Slatery was going to forward his appeal to the Administrative Committee.” Approximately one year later, Plaintiff’s counsel requested “any and all documentation and policies and determinations related to the award of bridge time to union members to enable them to qualify for retiree benefits” from the IBT and explicitly indicated that Plaintiff was not filing an appeal. In response, the IBT sent copies of the April 6 and August 1 letters but did not send any documents required by the ERISA regulations. Count I of the Second Amended Complaint sought equitable relief based on IBT’s breach of its obligations under ERISA to disclose certain plan documents and procedures, which interfered with Plaintiff’s ability to seek review of the denial of his benefits. It also sought reformation of the plan to make Plaintiff eligible for benefits if he served for at least as much time as any individual who received retirement benefits, regardless of whether that individual should have received them. The court found that the employer is not the plan administrator and is not obligated to provide plan documents or provide Plaintiff with the requisite information about seeking review of the benefits determination. Even if the court were to accept Plaintiff’s argument that because IBT communicated with Plaintiff about the denial of his benefits, IBT held itself out as a fiduciary with respect to the benefits determination and was therefore obliged to provide the determination information, Plaintiff has shown no harm arising from the failure to make the requisite disclosures. With respect to the reformation claim, the court found that reformation is “used to prevent fraud,” and is reserved “for those situations in which the moving party demonstrates that reformation is necessary to either correct a mistake or prevent fraud.” Here, Plaintiff did not base his departure date on any representation that he would receive benefits despite his ineligibility. Further, Plaintiff did not identify any mistake, mutual or otherwise, in the drafting or application of the eligibility rules. Any ongoing practice by the IBT/TBT of bending or ignoring the eligibility rules could not amount to an amendment of those rules since amendment may be accomplished only in accordance with the plan’s amendment procedures. Reformation or estoppel are not proper to accomplish what the law specifically prohibits. The court dismissed Count I since Plaintiff “failed to point to cognizable harm he suffered from the purported failure to comply with ERISA’s disclosure requirements” and Count II for no independent basis for the court to exercise jurisdiction over that claim. In Admin. Comm. of The Dillard’s, Inc. Grp. Health, Dental, Vision Plan v. Sarrough, No. 1:14-CV-01165, 2015 WL 4459859 (N.D. Ohio July 21, 2015), Plaintiff had unsuccessfully sought to invoke the Plan’s right to recover reimbursement for medical expenses it paid from a wrongful death settlement against the estate and their attorneys. The defendant attorneys filed a motion for attorneys’ fees, which the court granted in the amount of $25,388.65 to one attorney, and $17,250.00 to the other attorney. The court declined Plaintiff’s request to stay its decision on attorneys’ fees pending the resolution of Plaintiff’s appeal before the Sixth Circuit. The court found that judicial economy counsels in favor of resolving the attorneys’ fee issue sooner rather than later since Plaintiff will be able to file a consolidated appeal. In Abbott v. Lockheed Martin Corp., No. 06-CV-701-MJR-DGW, 2015 WL 4398475 (S.D. Ill. July 17, 2015), the court granted Class Counsel’s request for attorneys’ fees and costs for its role in obtaining a settlement of class claims under ERISA which provides a $62 million monetary recovery for the benefit of as many as 181,000 current and former participants in two 401(k) plans offered to employees of Lockheed Martin. Class Counsel also secured affirmative relief designed to reduce fees and improve investment offerings. The court awarded Class Counsel one-third of the monetary settlement obtained, or $20,666,666, and $1,644,929.82 for outstanding expenses. The court also approved $25,000 incentive awards to each of the six Class Representatives and $10,000 to Named Plaintiff Roger Menhennett. Upon mailing of individual notices to over 181,000 potential Class Members, only five objected to Class Counsel’s request for fees and costs. In Krueger v. Ameriprise Fin., Inc., No. 11-CV-02781 SRN/JSM, 2015 WL 4246879 (D. Minn. July 13, 2015), Plaintiffs secured a settlement providing a $27.5 million monetary recovery for the benefit of as many as 46,098 current and former participants in the 401(k) plan offered to employees of Ameriprise Financial (the “Plan”), as well as important affirmative relief designed to reduce fees and improve investment offerings in the Plan. The court approved of a fee award of one-third of the monetary settlement obtained, or $9,166,666, and an additional $782,209.69 for outstanding expenses. Here, Class Counsel spent approximately 27,991 attorney hours and 2,716 hours of non-attorney professional time litigating this case. Using a blended rate of $514.60 (approved by the Eighth Circuit for use in an ERISA case in 2014), the lodestar totals $14,404,168.60, more than the amount requested by Class Counsel. The court also approved $25,000 incentive awards for each of the five Named Plaintiffs. In Perez v. California Pac. Bank, No. 13-CV-03792-JD, 2015 WL 4448061 (N.D. Cal. July 20, 2015), an enforcement action brought by the DOL Secretary against Defendants for their handling of the California Pacific Bank Employee Stock Ownership Plan, which was terminated close to three years before this action was initiated while the Bank was under investigation by the Secretary. Count I alleged that Defendants failed to liquidate and distribute shares as cash upon termination. Defendants moved for summary judgment on that count which the court denied. The court found that there is no genuine issue of material fact that Defendants violated ERISA but questioned whether any relief available for the violation since it is unclear that there were any losses suffered by the Plan. The court deferred the issue of relief to a bench trial. The Secretary moved for summary judgment on the other counts. Count II alleged that Defendants improperly diverted $132,506 account receivable. The Court found that Defendants diverted to the Bank a significant portion ($81,407.18) of the $132,506 account receivable that belonged to the Plan, and by doing so, violated ERISA Sections 403, 404 and 406. The court deferred the issue of the appropriate remedy for trial. Count III alleged that Defendants transferred $69,745.93 in plan assets from the Plan to the Plan sponsor. On the current record, the court denied the Secretary’s motion because the court was unable to determine whether the Bank did not make any further contributions to the Plan after a certain time or what legal effect the Plan’s termination may have had on the Bank’s clock for permissibly taking back any over-contributions. Count IV alleged that Defendants held assets in noninterest bearing accounts at the bank. The court found that as a preliminary matter the Secretary failed to establish that holding Plan cash assets in noninterest bearing accounts constitutes a violation of ERISA as a legal matter. In Perez v. Stratton, No. 14-CV-95-WMC, 2015 WL 4232442 (W.D. Wis. July 13, 2015), the Secretary of Labor filed this civil suit under 29 U.S.C. 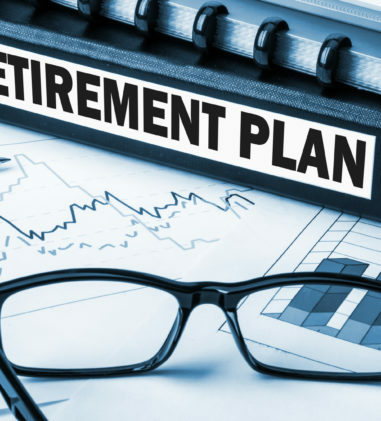 §§ 1132(a)(2) and (5), alleging that defendants David Stratton and corporate defendant IDS Sales and Engineering, Inc. failed to remit employee salary deferral contributions to the IDS Sales & Engineering, Inc. Retirement Savings Plan. Stratton initially filed an answer but then filed an unopposed motion to withdraw that answer, which the court. Following Plaintiff’s motion for default judgment, the court entered default judgment against Stratton in the amount of $19,114.94, ordered Stratton to correct the prohibited transactions in which he engaged, and ordered a permanent injunction preventing Stratton from serving as an ERISA fiduciary. In Wickens v. Blue Cross of California, Inc., No. 15CV834-GPC JMA, 2015 WL 4255129 (S.D. Cal. July 14, 2015), Plaintiff filed a class action complaint against Defendants for state law causes of action based on Defendants’ failure to secure and safeguard Plaintiff’s personal identifying information against cyber hackers. Defendants removed the case under CAFA and the court remanded the case to state court finding that it lacked subject matter jurisdiction. The court found that the breach of contract claim is not completely preempted by ERISA because the claims assert an independent legal duty irrespective of the ERISA plan. The court also found that it could look at post-removal filings or events to determine jurisdiction. In Lubin v. AT&T Ret. Sav. Plan, No. CV1481263CIVSCOLA, 2015 WL 4397703 (S.D. Fla. July 17, 2015), the court found that AT&T Retirement Savings Plan’s decision to follow its ERISA plan’s default beneficiary rules in paying life-insurance benefits to the daughter of a deceased employee was correct. The employee’s sisters challenged that decision because the employee’s daughter had been adopted by her step-father. When interpreting ERISA plans, courts turn to the law of trusts, within which is the principle of contract interpretation known as expressio unius est exclusio alterius (the express mention of one thing excludes all others). This doctrine instructs “that when certain matters are mentioned in a contract, other similar matters not mentioned were intended to be excluded.” Here, the Plan documents state that a child is a person “related by birth or by adoption and not through marriage.” Plaintiffs asked the Court to read this passage as stating that a child is a person related by birth or by adoption and not through marriage, unless the person related by birth was later adopted away from the plan participant. The court declined to do so and found that the Plan provides a complete list of who is, and who is not considered a child. Since the category of persons who are not children is limited to persons related through marriage, the Court may not read in an additional category of persons who are not children (i.e., persons who are related by birth but who are later adopted away). In Advanced Orthopedics & Sports Med. v. Blue Cross Blue Shield of Massachusetts, No. CIV.A. 14-7280 FLW, 2015 WL 4430488 (D.N.J. July 20, 2015), Plaintiff filed a five-count Complaint against Defendant seeking seeking money owed to Plaintiff for providing medical care to a patient insured under an employee health insurance plan administered by Defendant. Defendant moved to dismiss Plaintiff’s Complaint in its entirety, on the basis that Plaintiff lacks standing to sue under ERISA. The Plan contains an unambiguous anti-assignment clause that the court found valid on its face. The court found that Plaintiff lacks standing and also that amendment of the Complaint would be futile, and so denied Plaintiff’s Motion to Amend. In Trueview Surgery Ctr. One L.P. v. OneSubsea LLC Comprehensive Self-Insured Welfare Benefits Plan, No. 4:14-CV-2577, 2015 WL 4431408 (S.D. Tex. July 17, 2015), Plaintiff filed suit against Defendant pursuant to a patient assignment seeking reimbursement for a septoplasty the patient underwent. 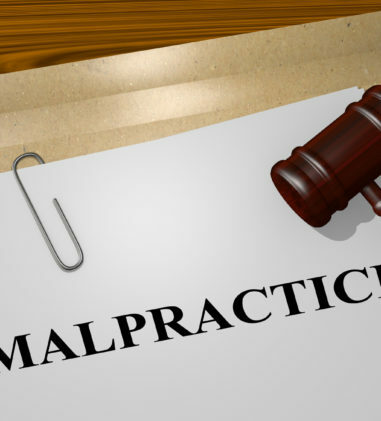 The court rejected the Plan’s argument that Plaintiff did not suffer an injury-in-fact because it never attempted to bill the patient for his share of the medical charges. The court relied on a recent Fifth Circuit decision that held that a medical service provider “has statutory standing under ERISA for the benefit claims at issue because of assignments from plan beneficiaries,” even if the patient was “not billed for the amount allegedly due from the insurance plans.” N. Cypress Med. Ctr. Operating Co. v. Cigna Healthcare, 781 F.3d 182, 192-5 (5th Cir.2015). The court also found that the anti-assignment clause in the Policy does not prohibit assignments to medical service providers such as Plaintiff. In Ayres v. Kyanite Mining Corp., No. 3:14-CV-00011, 2015 WL 4393991 (W.D. Va. July 16, 2015), Plaintiff contested that he never received certain distributions from his profit-sharing account. The court found that his lawsuit was time-barred. The court reasoned that Plaitniff requested a loan from his profit-sharing account in 1998 and had he not received those funds, he presumably would have noticed this error in 1998. The court found the same with respect to funds distributed in 1999. However, Plaintiff failed to contact Defendant about his claims until 2011 and failed to file this action until 2014-well over a decade after his funds were allegedly “misappropriated.” As such, the court found that Plaintiff’s claim is barred by the statute of limitations (but even if not, the Committee did not abuse its discretion in denying his claims). In Smiley v. Hartford Life & Acc. Ins. Co., No. 15-10056, __Fed.Appx.___, 2015 WL 4385673 (11th Cir. July 17, 2015), the Eleventh Circuit affirmed the district court’s decision finding that Hartford, a third-party claims administrator, was not the plan administrator and therefore not subject to statutory penalties under § 1132(c)(1). The court also rejected the de facto administrator argument and found that since the record demonstrates that the employer retained the authority to make final decisions on appeal from the claims administrator, Hartford was not the plan administrator, either in name or in fact, and was not liable for failing to furnish Plaintiff with certain Plan documents. The court also found that the district court did not abuse its discretion in refusing to impose statutory penalties on the plan administrator. The court found that there was no evidence that the plan administrator refused or failed to provide Plaintiff with the relevant documents, which were already in her possession. In Demopoulos v. Anchor Tank Lines, LLC, No. 14 CIV. 7107 LGS, 2015 WL 4430699 (S.D.N.Y. July 20, 2015), the court dismissed Plaintiffs’ Amended Complaint seeking damages from Defendants Anchor Tank Lines LLC, Tank Acquisition Company LLC, Leonard Baldari, Robert Baldari and Michael David Hiller in connection with payments that were required but not made to International Brotherhood of Teamsters Local 553’s benefit funds. In Int’l Bhd. of Elec. Workers Local Union No. 98 Health & Welfare Fund v. LMI Elec. Inc., No. CIV.A. 15-380, 2015 WL 4389628 (E.D. Pa. July 17, 2015), Plaintiffs alleged LMI failed to submit the full amount of contributions and deductions owed to the collective Funds. 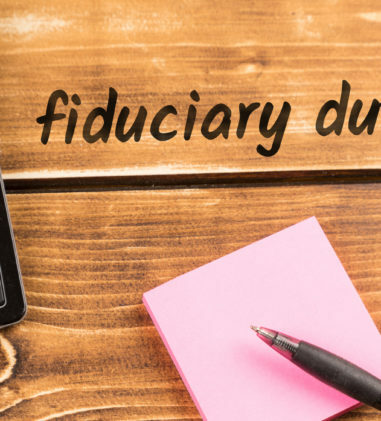 The Funds also alleged that two fiduciaries breached their fiduciary duties under ERISA and are personally liable for the outstanding contributions and deductions. The court denied Defendants’ motion to dismiss both claims. The court found that LMI merely contests the truth of Plaintiffs’ well-pled facts and fails to meet its burden under Fed.R.Civ.P. 12(b)(6) of showing that Plaintiffs’ complaint fails to state a claim upon which relief can be granted. The court also found that the Funds made a prima facie showing that both individual defendants are ERISA fiduciaries by virtue of their discretionary control over plan assets. In Cent. Illinois Carpenters Health & Welfare Trust Fund v. Rice Equip. Co., No. 14-3390, 2015 WL 4378192 (C.D. Ill. July 16, 2015), the court set aside the order of default against Defendant and denied Plaintiff’s motion for summary judgment. The court found that Defendant showed good cause for setting aside the default, acted quickly in response to the entry of default, and asserted a potentially meritorious defense. In Midwest Constr. & Distribution Indus. Benefit Trust v. Ferguson Enterprises, Inc., No. CIV. 14-853 ADM/HB, 2015 WL 4255785 (D. Minn. July 14, 2015), the court considered whether certain Ferguson employees were eligible to waive or opt out of health insurance benefit coverage under the Fund and, as a result, whether Ferguson was required to make contributions to the Fund on behalf of these individuals. The court found that the waiver defense raised here is not a defense precluded under § 515. Ferguson argued that the explicit terms of the SPD allow for individual waiver and therefore it is not required to provide contributions for those individuals who properly waived coverage under the CBA. The court acknowledged that the purpose of § 515 is to prevent contract formation defenses, but that it is not so narrow as to prevent Ferguson from raising this defense. However, the court determined that it need not rule on whether the CBA incorporated the SPD waiver language because, even if it did, the Fund remains entitled to collect contributions for the six individuals under the unambiguous language of the CBA.